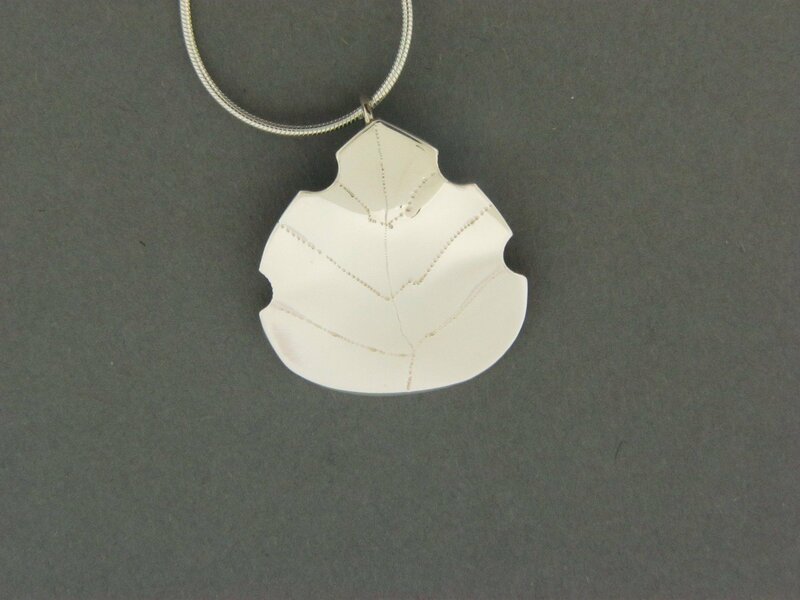 Handcrafted sterling silver .925 tear-oval shaped plate etched and looks like a leaf. Approximate size is a nickel. Available in different chain lengths.